After the Bs it's time for the CC creams in India. Lakmé, India’s iconic beauty brand is known to innovate continuously and introduce new products, to make women look and feel beautiful. In its endeavor to address every woman’s intrinsic need for perfect looking skin, Lakmé now introduces your everyday skin stylist – Lakmé ‘complexion care’ cream. A pro-stylist brand, Lakmé brings alive its expertise in skin care and make up with the launch of Lakmé CC cream. 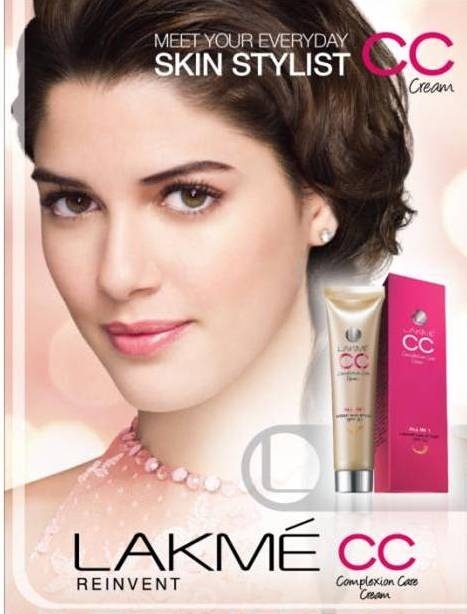 Created in collaboration with Lakmé expert, Daniel Bauer, the Lakmé CC cream combines the goodness of a daily skincare cream with just the right touch of make-up. Wow, I am sure now all brands will dump BB creams and will start coming out with their own versions of CC creams :) Would like to try one.